Some people are suing Fitbit over the Charge HR, while others are praising its potential to assist doctors. Some people are so unhappy with the performance of their Fitbit activity tracker they’re willing to sue. But at least one person can credit his wristband with dramatically improving his health. A 42-year-old man was recently admitted to the emergency room at Our Lady of Lourdes Medical Center in Camden, New Jersey with an irregular heart rhythm (arrhythmia) suffered in the wake of a seizure—a condition that doctors treated with an electrocardioversion after consulting historical data from his Fitbit, according to The Annals of Emergency Medicine. This appears to be the first time that a patient was diagnosed and treated based on data taken from a Fitbit device. Fitbit was unavailable for comment at this writing. The story begins with the patient in question suffering from a grand mal seizure that lasted about one minute. The man had a history of seizures and was on anti-seizure medication—a pill he forgot to take on the day in question. By the time the paramedics arrived, the seizure was over and the man had an irregular heart rhythm among other symptoms. Once the patient arrived at the hospital doctors had to decide how to treat his arrhythmia. The hospital’s standard operating procedure said that if a patient could “reliably relate” that the onset of arrhythmia was within 48 hours then the doctors could use electrocardioversion to reset his heart rate. Unfortunately, that’s something the patient couldn’t confirm at the time. Then doctors noticed he was wearing a Fitbit Charge HR. After looking at data collected by the device on the patient’s smartphone, doctors were able to confirm that the patient’s pulse rate had spiked after his seizure and only came down once paramedics treated the elevated pulse. Based on that information, doctors were confident that the arrhythmia began about three hours before the patient hit the ER. They then performed the electrocardioversion. 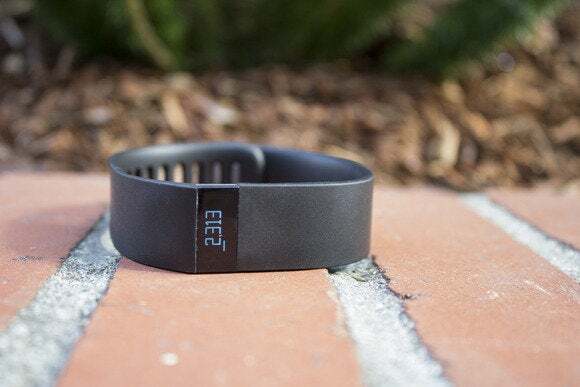 Why this matters: There are plenty of stories about fitness trackers or smart watches improving a person’s health and helping them lose weight. But this is the first time a fitness tracker was used to potentially save a person’s life, as far as we know. That said, it’s a stretch to start calling these wearables life saving devices. As the study in AEM notes, activity trackers are not considered approved medical devices, though the study’s authors suggest a tracker’s data could help doctors in other cases where a pulse rate history influences diagnosis.